What's New for the 2018 Chrysler Pacifica? The 2018 Chrysler Pacifica Hybrid and the Pacifica are among the top minivans on the market, according to the reviewers at U.S. News and World Report. 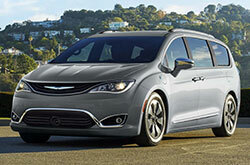 They have an edge in the minivan market, due to their balanced performance and remarkable fuel economy. As you consider your family's next ride, you may want to put the 2018 Chrysler Pacifica and Pacifica Hybrid at the top of your shopping list. Here's why. 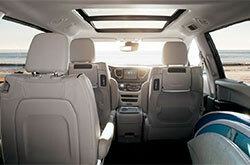 When you purchase a Pacifica, you are getting a high quality package, three spacious rows and lots of features. The gas-only model can be had in L, LX, Touring Plus, Touring L, Touring L Plus and Limited trims. Similarly equipped are hybrid models, which n a Touring Plus trim. Drivers enjoy a power chair. The second row has its own climate controls. The Chrysler UConnect system is considered one of the best on the market, according to U.S. News and World Report. An 8.4-inch touchscreen provides streaming audio and HD radio. You have the advantages of Android Auto and its rival Apple CarPlay, allowing you to get more from your smartphone. Next on the ladder, the Touring L has a leather interior. Favorite amenities include a power liftgate and heated front seats. 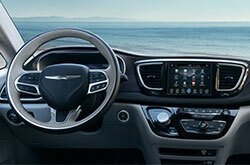 With the Limited, Chrysler adds more comforts such as ventilated front seats and a power-adjusting passenger seat. The driver gets navigation and a heated steering wheel. Music sounds crisper with the 20-speaker audio system. A dual-screen rear entertainment system rounds out its interior package. The rear cargo hold can expand with the folding third-row seats. The sliding side doors have a hands-free capability. The standard Chrysler Pacifica offers 287 horsepower and a notable 18 city/28 highway mpg rating according to EPA estimates. The only hybrid minivan, the 2018 Chrysler Pacifica Hybrid could coast on its class-best status. Chrysler makes sure that the vehicle is worth the hype. Thanks to electric power, the driver can travel 33 miles before needing to use the V6 engine. Many commuters won't need their gas engine during their daily round-trips to work or school. Under electric power, the minivan earns 84 mpg-equivalent. Otherwise, it earns a best-in-class 32 mpg combined. That's 10 mpg more than the nearest competitor. Keeping it ready to go is easy. You can use an overnight charger with a 120-volt outlet or charge in two hours with a 240-volt outlet. Drivers need sufficient power to move a vehicle like this one, and Chrysler uses two electric motors and a 3.6-liter V6 to make sure you get it. With 260 horsepower at the driver's command, this minivan defies both its minivan class and its hybrid status. Part of the hybrid's success is its aerodynamic build. It spent many hundreds of hours in a wind tunnel as engineers worked to get the sculpting right. The Pacifica certainly demonstrates a wish to keep the family safe. To prove it, the minivan earned the five-star federal safety rating, demonstrating its worthiness in extensive crash tests. Parking is easy thanks to the standard rearview camera and parking sensors. A rear cross-traffic alert monitors your sides for approaching cars as you move in reverse. You can add a 360-degree camera and an active park assist. A blind spot monitor is another notable feature. It helps you avoid side swipes. You can also add a lane departure warning. A forward collision warning comes tied to automatic emergency braking. You can experience the drivability and quality of the 2018 Chrysler Pacifica. 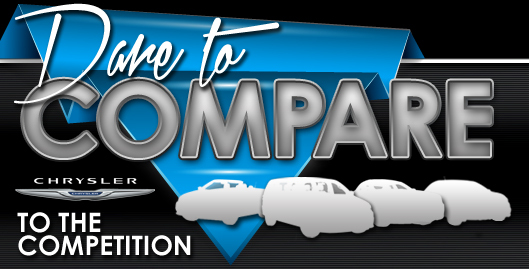 Just head to Airpark Chrysler Dodge Jeep for a test drive.